The US Ambassador in Palace Square during the celebrations. 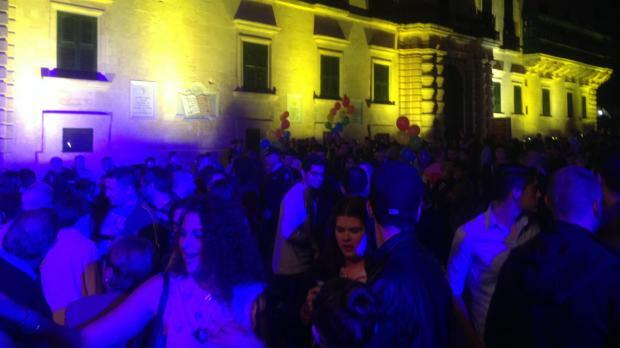 The controversial law on civil unions was approved by Parliament this evening amid loud cheers and celebrations by about 1,000 people who gathered on Palace Square. The bill puts gay partnerships on a par with marriage. 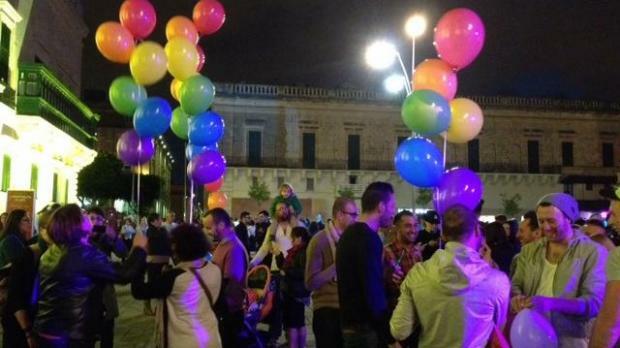 Opposition leader Simon Busuttil said before the final vote that although the Opposition agreed with civil unions, it had reservations regarding child adoptions by gay couples and felt this issue deserved more study. Gay people were an integral part of society and the time had therefore come to legalise civil unions or civil partnerships. Indeed, he regretted this step was not taken earlier, he said. Had the bill been solely on civil unions, the opposition would have voted in favour. But for political ends, the government had included child adoptions by gay people. Adoptions were not a right of couples, heterosexual or otherwise. Children's rights came first and this issue should have been addressed in the law on adoptions and not in the civil unions bill. That was what was done abroad. The opposition was not saying that gay people could not be good parents, but the government had not prepared the country for such a step. The government preferred division to unity. Indeed, 80 per cent of respondents had declared in a survey that they were concerned about gay adoptions. It was not wise to proceed before it was guaranteed that the interests of children were guaranteed. It was a shame that the government never spoke with the opposition on the possibility of consensus and ignored its amendments So much for the claim that this was a government that listens. 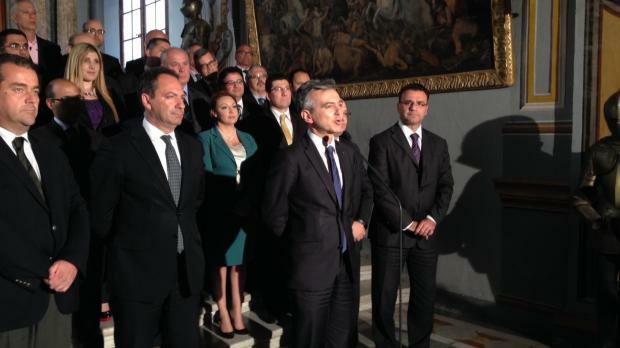 The government had delayed the final vote only because it feared that President George Abela would not sign it into law, Dr Busuttil said. 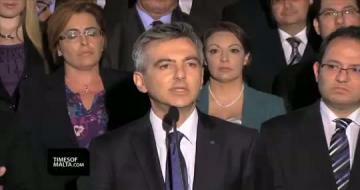 In a reaction to Dr Busuttil's comments, Prime Minister Joseph Muscat said today separated the past from the future. It also separated words from deeds. He too would have wished to see this law enacted earlier. But it was not Labour which was in government in the past few years. This was not about political gain once it had been claimed that 80 per cent of the people were against this law. The government had moved this bill because it believed in it. It was doing it for the minority, but also for the majority, which would live in a country which was more equal, liberal and European. The opposition's amendments would have reduced equality, not strengthened it. One could not compromise with principles, and this law was about the basic principle of equality. He disputed that society was not ready for this step, but said that if this was the case, then it needed to be explained, he said. But one should not wash his hands like Pilate. All government MPs voted in favour of the Bill except Foreign Minister George Vella, who is abroad on government business. 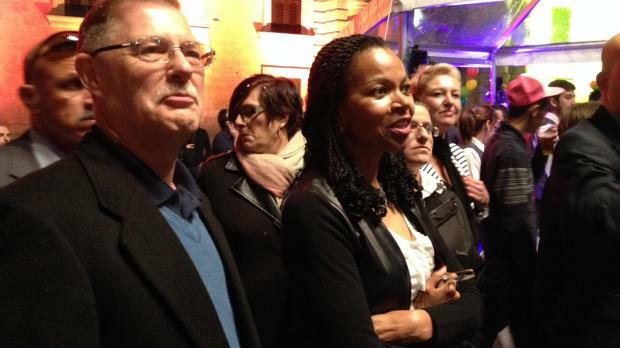 There was an explosion of cheers in Palace Square as the vote was taken - 37 in favour and 30 abstentions. The façade of the palace was lit in the rainbow colours. 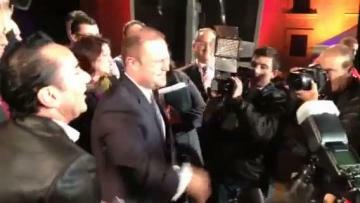 Earlier Dr Muscat was greeted with applause as he arrived at Palace Square on his way to Parliament. Other Labour MPs arrived wearing the colours of the gay community on their lapels. 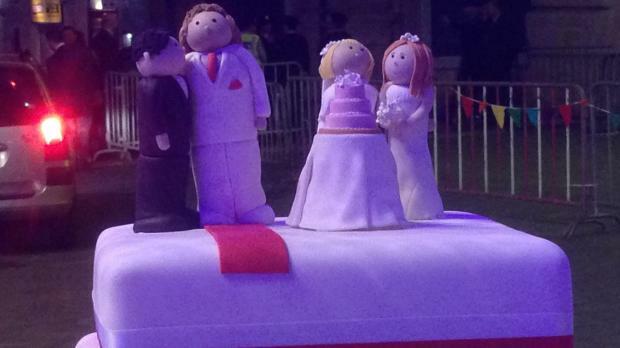 Some of those present set up a big wedding cake on the square. Others said they were already preparing their union, now that the bill was becoming law. Sparklers and wedding veils were handed out. 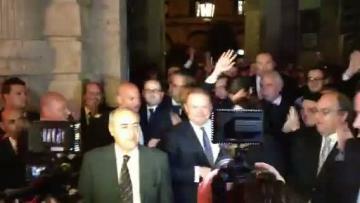 There were cheers and cries of 'Joseph, Joseph' when Dr Muscat emerged from the Palace after the vote, and loud boos and cries of 'shame on you' for the Opposition MPs. Dr Muscat addressed the crowd from a stage on one side of the square. 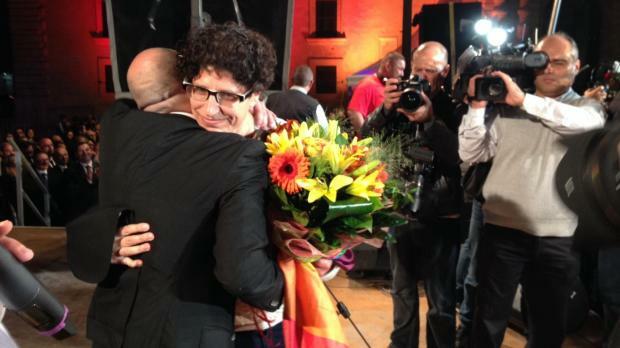 This, he said, was a historic day and he was proud to be one of those 20 per cent in favour of civil unions. He then repeated parts of the speech he made earlier in Parliament. One of those present, a young man, said: "I am feeling privileged to be witnessing history and experiencing equality this early in my lifetime when so many others were forced to wait their entire lives in vain. 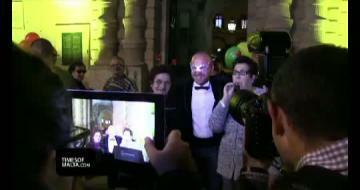 Tonight's party in Valletta is not for people like me but for all those who fought their whole lives to be able to celebrate their love without distinction but did not live to see this day." 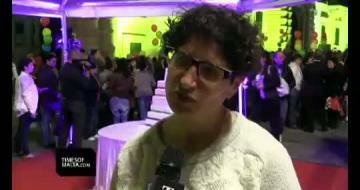 University lecturer Carmen Sammut called it a historic day, saying she did not think it would happen in her lifetime. 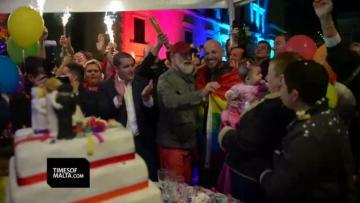 TV personality Ray Calleja said that when he was younger, he did not think that civil unions would be legal in his lifetime, but as he grew older, he did expect it to become legal. Today would hopefully pave the way for a time when gay relationships were not an issue any more. 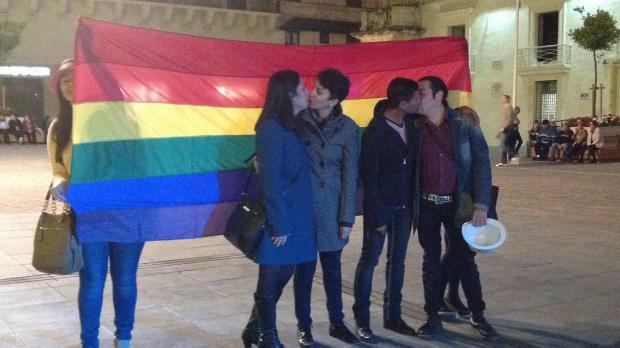 Gabi Calleja, who heads the MGRM said she still did not understand those who were concerned about the bill giving gay couples the opportunity to adopt. Today, she said, was a historic day which had movement had long worked for. Many of those present listened to radios or their mobile phones to follow proceedings in parliament. Among those present in the square was the US Ambassador, Gina Abercrombie-Winstanley. 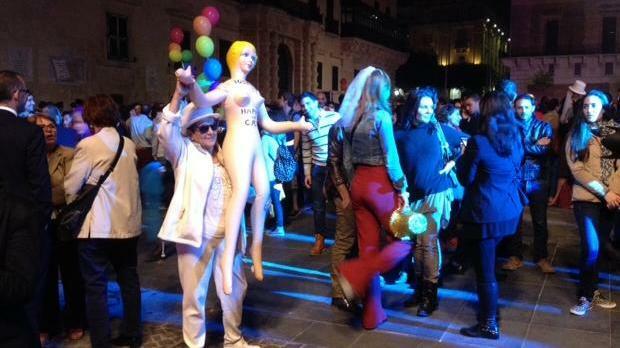 She said this was a historic decision and a change for Malta. "We absolutely support inclusiveness," she said. "Congratulations." 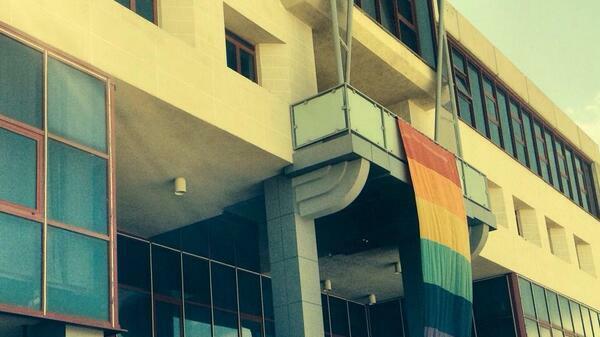 British High Commissioner Rob Luke in a tweet said: "A historic day for Malta as Parliament passes the Civil Unions Bill." 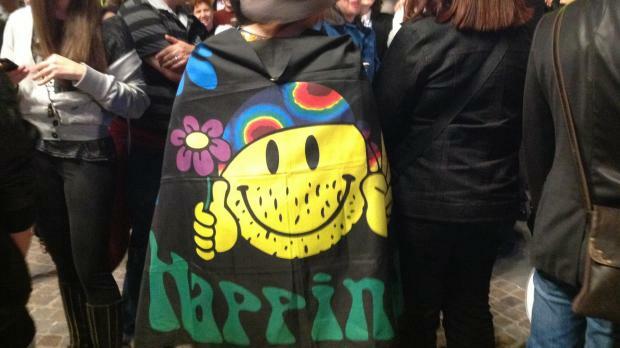 Celebrations are expected to continue well into the night. A programme will feature entertainers Ray Calleja, Chunky, Glen Vella, Claudia Faniello, Amber, Davinia, Daniel Testa, Muxu and Renato. 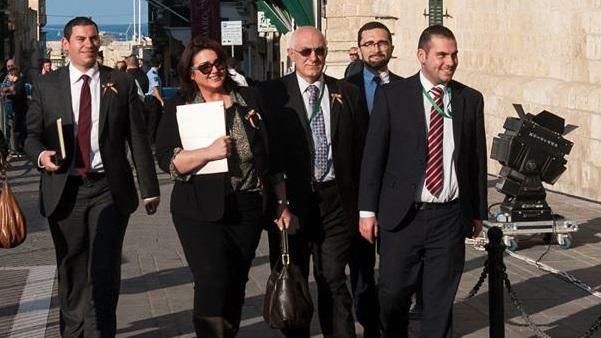 Earlier today, former Nationalist MP Karl Gouder, a senior official within the party, said in a tweet: "Today is an important Day for Malta, just wish that the party I love so much could have done more to get to this day." Edward Demicoli, a former PN candidate for the Europeran Parliament elections agreed with Mr Gouder. He said on Facebook: "Agree wholeheartedly. On social issues our party is on the wrong side of history." Parliament this evening also approved a constitutional amendment moved by the opposition for gay people to be protected from discrimination. The amendment was approved by all present. 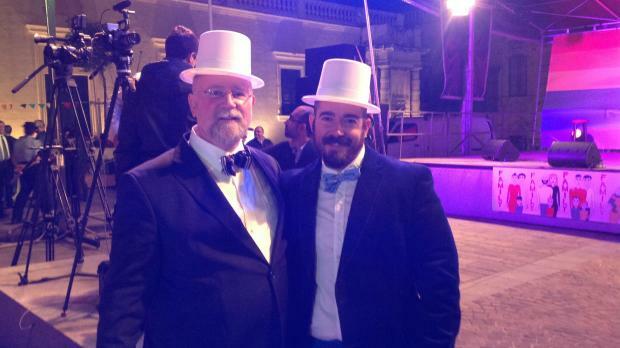 AD welcomes the introduction of civil union legislation; hopes this leads to full equality. 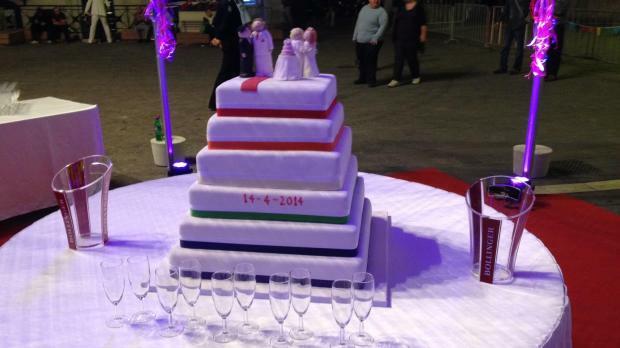 Alternattiva Demokratika welcomed approval of the Civil Unions Bill. Prof. Arnold Cassola, AD Chairperson, said: "Alternattiva Demokratika believes that there should not be any discrimination on any basis in Maltese society, including sexual orientation, as stated in the Maltese Constitution and in the Charter of Fundamental Rights of the European Union citizen, which has been signed and ratified by the Maltese Government. 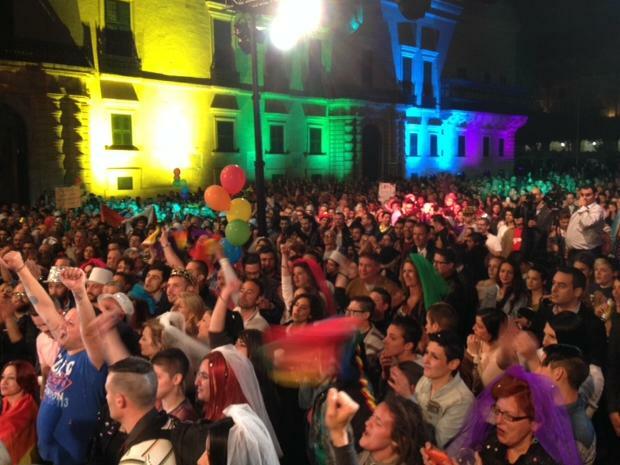 "Today is a historical day for Malta and we are proud to have given our contribution to enhance awareness about equality and social justice. As members of the European Greens, who have been promoting equality for gay couples for many years, we adhere to the same political ideals. We hope that this law will lead to the legal protection of other couples, such as those in cohabiting relationships, as was promised by the political parties."